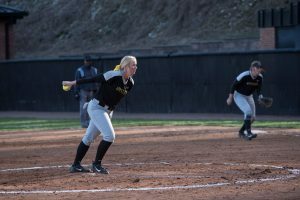 Quality pitching is one of the most important building blocks of a successful softball team, and junior Kenzie Longanecker provides that for the App State softball team. 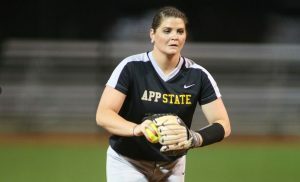 The Mountaineers are off to their best start in over 10 years and sit on a 23-9 record, 10-2 in Sun Belt play, and Longanecker is a big reason why. 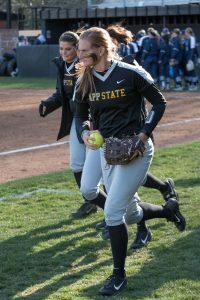 Statistically, she is off to the best pitching start in App State history. 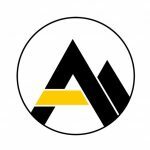 The Mountaineer ace is 13-1 in the 2019 season. She is ranked in the top 25 nationally in wins and is No. 4 in the Sun Belt. 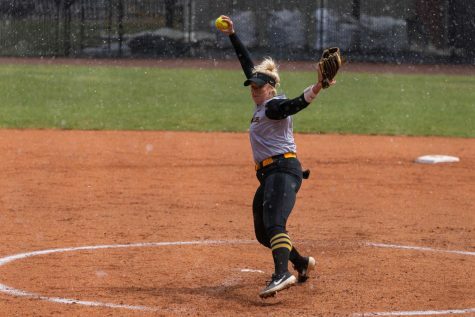 Junior pitcher Kenzie Longanecker is 13-1 so far in the 2019 season and has the lowest ERA on the team of all players with more than eight appearances. 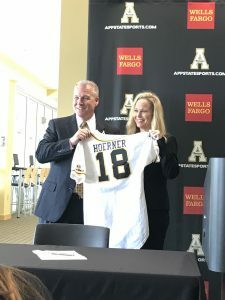 She hit the ground running as a freshman and the Mountaineers have considered her a staple since 2017. 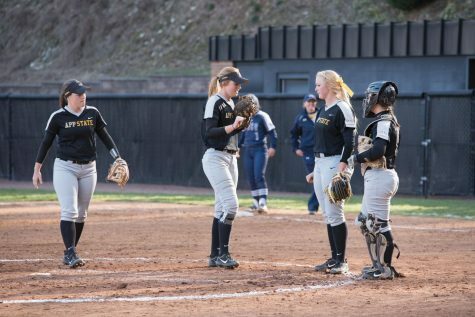 That season, she led the team in innings pitched with 134 and 112 strikeouts. 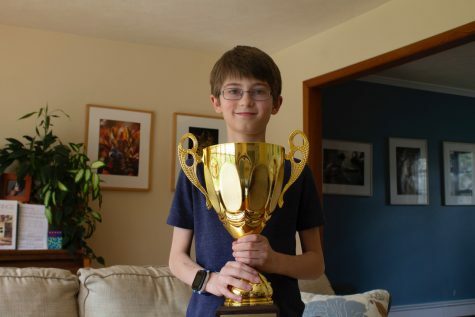 She finished the season ranked No. 9 in the Sun Belt with an ERA of 2.77. 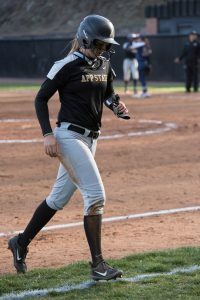 As a sophomore, she led the team in appearances with 30. 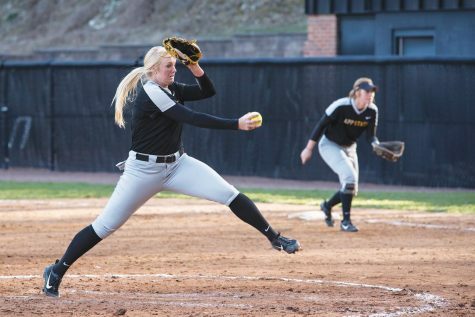 She also had the lowest ERA on the team at 3.83, ranking No. 10 in the Sun Belt. As a junior, she has shown improvement in stats across the board. 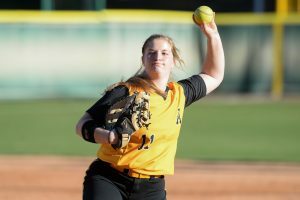 Her ERA has dropped to 2.41 and when she is on the mound, the Mountaineers have outscored their opponents 100-48. 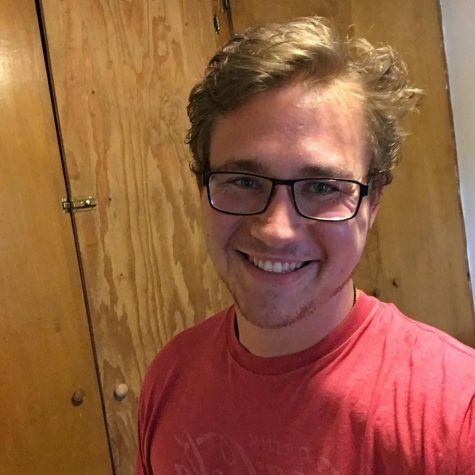 As the Mountaineers prepare for the second half of the season, they look at Longanecker to lead them to a strong finish in conference play and a solid showing in the postseason. Longanecker’s presence off the field is just as important to the team as when she plays. 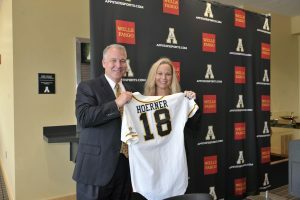 Her teammates consider her a perfect fit for the family that Hoerner and her staff have worked so hard to build.